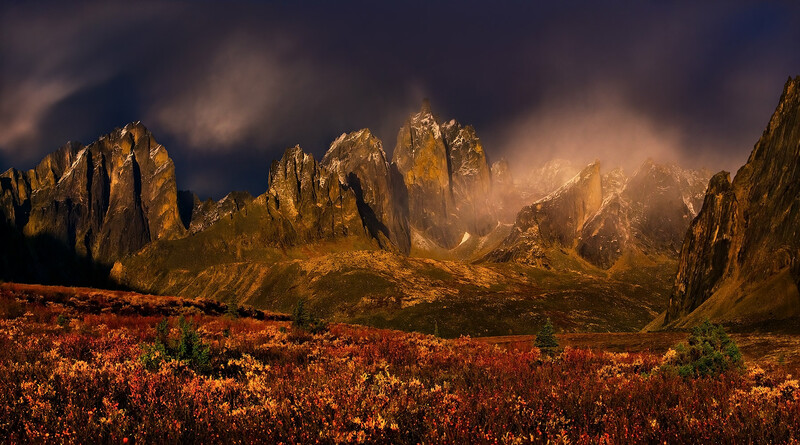 Dramatic light over the great peaks of the Ogilvie Mountains amidst rich Autumn colors. Yukon territory, Canada. The photograph is a 4-shot stitch from 70mm lens for exceptional detail and reproduction. Photo © copyright by Marc Adamus.